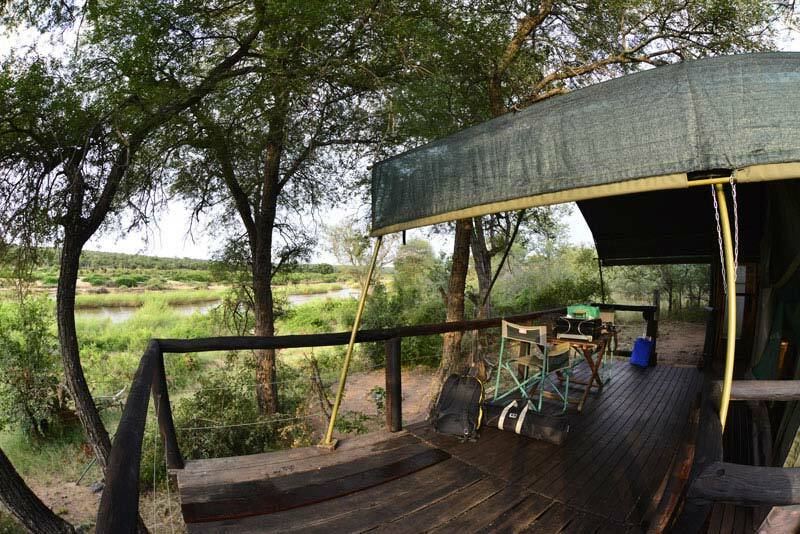 Mtomeni Safari Camp is a jewel on the banks of the Great Letaba River, inside the provincial reserve of Letaba Ranch, Greater Kruger National Park. 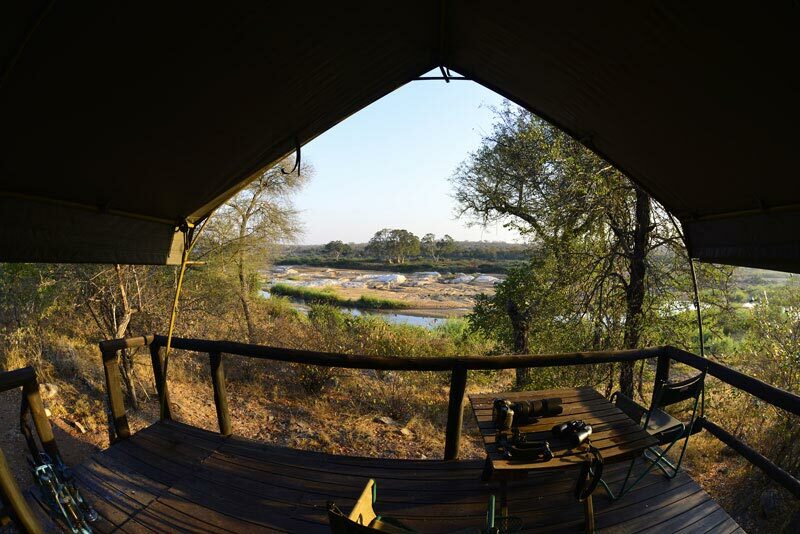 Named after the Jackleberry trees that shade the safari tents, this is the perfect place to sit and watch the game accessing the water below the camp. 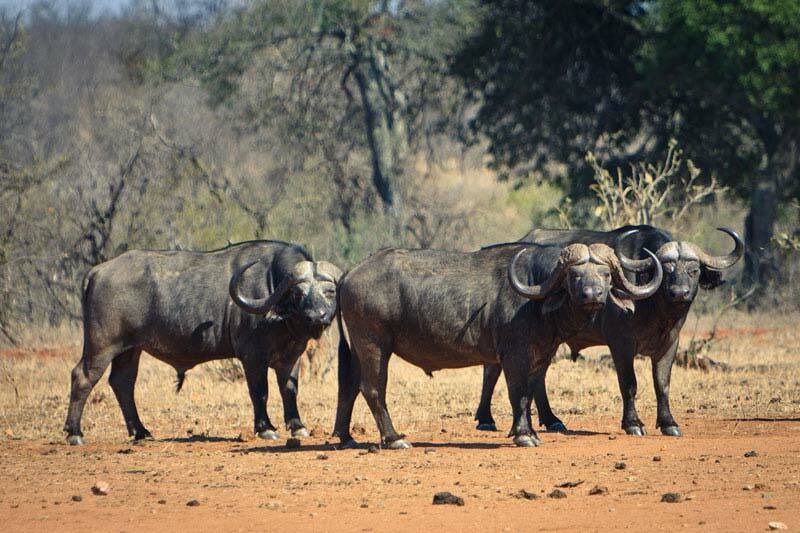 Offering fully catered and self-catering safari accommodation options in comfortable safari tents, Mtomeni provides an affordable and unique experience as the only safari lodge in Letaba Ranch. 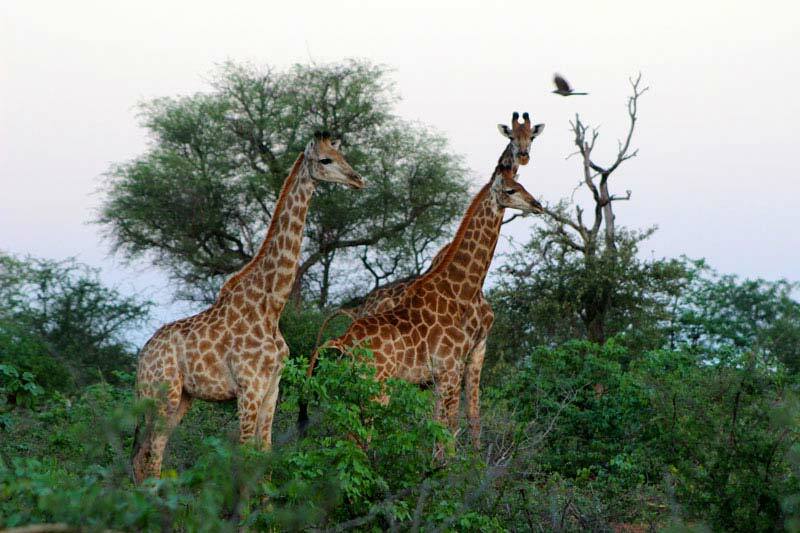 Unfenced from Kruger National Park, Letaba Ranch is well known for its large herds of elephant and buffalo, as well as giraffe sightings. 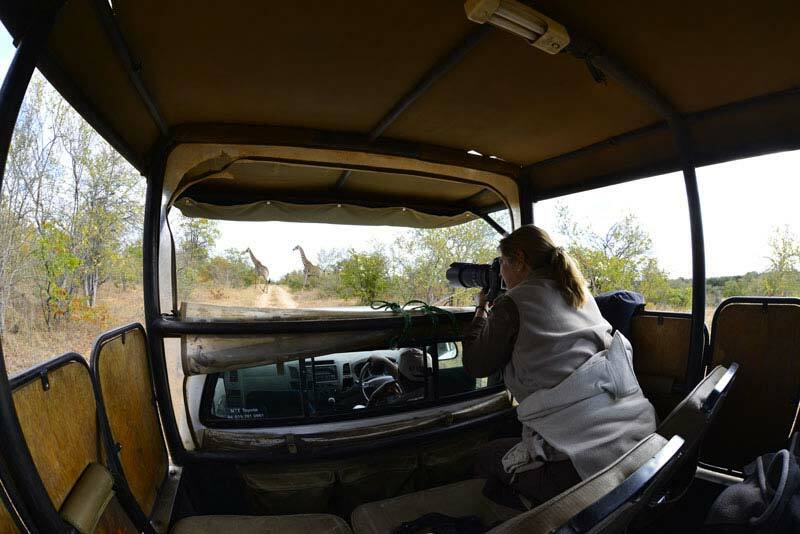 The reserve is also a hotspot for African Wild Dog sightings. 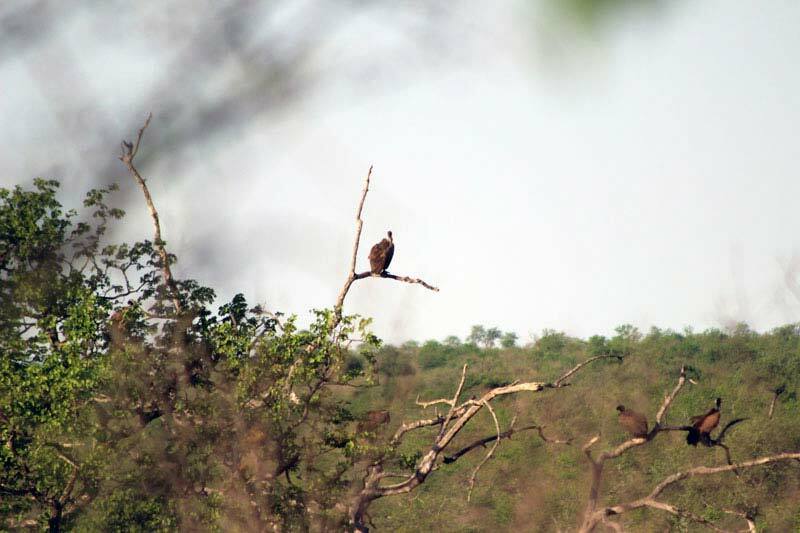 Given that the camp is unfenced from the reserve, and on the banks of the Great Letaba River, there is frequent animal activity in the camp at night. 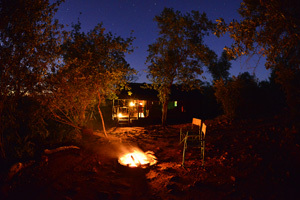 For this reason guests are escorted to and from their tents when coming to the communal dining and camp-fire area. Note: Special offers are non-commissionable and apply to direct bookings only. For these rates please enquire using the form below. 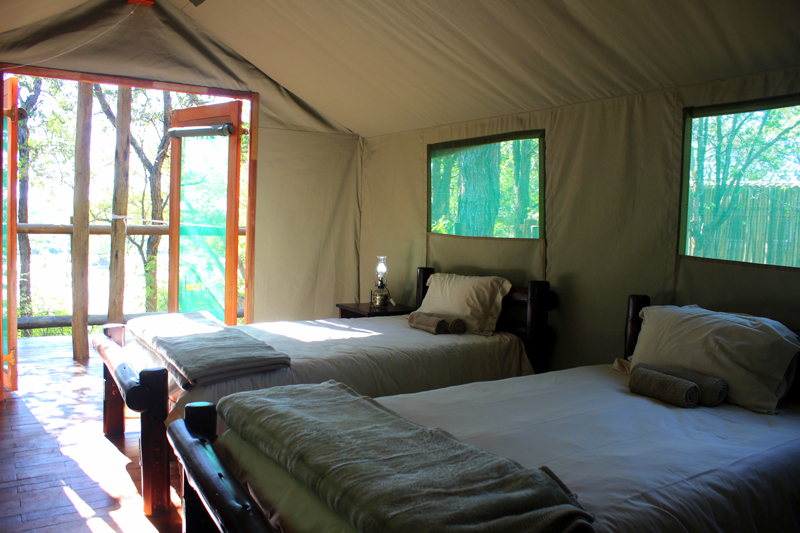 Mtomeni Safari Camp has 7 Sunset Tents on wooden decks. 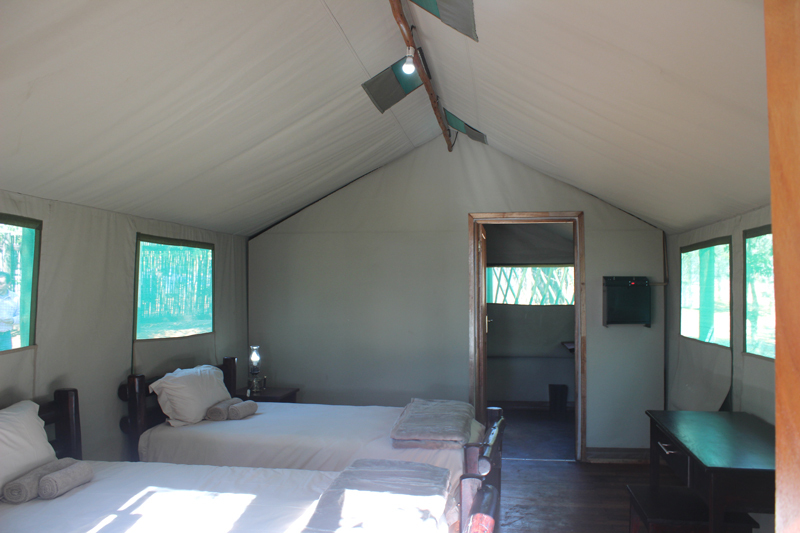 Situated to the west of the communal dining area, the tents have 2 x ¾ beds. 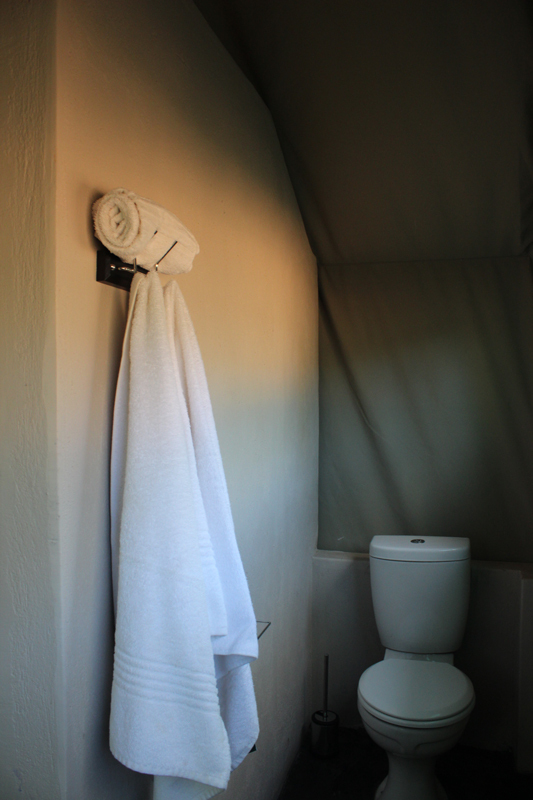 Linen and towels are provided as part of the tariff. The new tents boast 12V lighting, as well as a charger for cell phones. The en-suite has a walk-in shower, flush loo and vanity with basin. The water is solar heated. In addition, the camp has 5 Sunrise Tents to the east of the dining area. These units have 2 x ¾ beds with linen and towels provided. 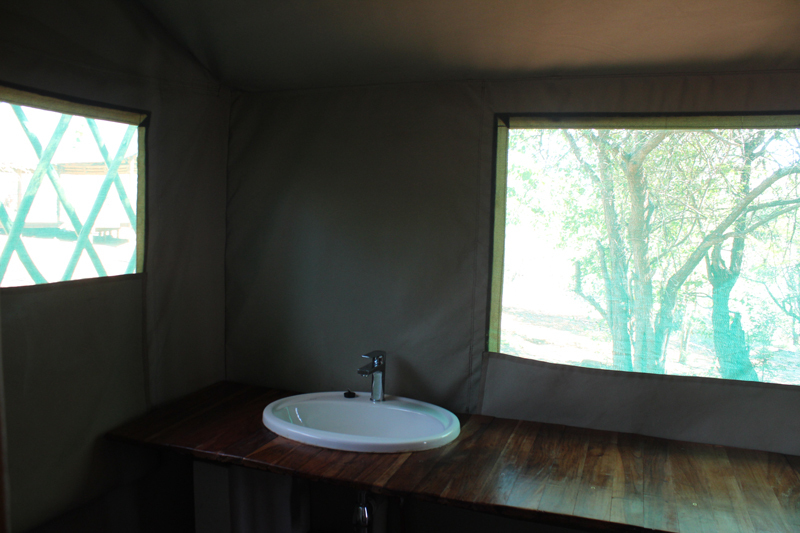 The basic en-suite includes a shower, with solar heated geysers. Their lighting is from paraffin lanterns, and guests who use these units charge their cell phones in the communal dining area. 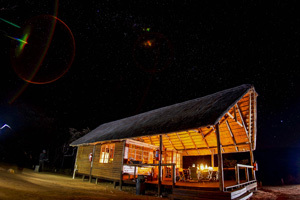 The kitchen, dining and camp-fire facilities are communal, and give adventure travelers an ideal opportunity to get to meet and interact with other like-minded travelers. You will share a gas hob and camp fire for cooking, as well as fridge and freezer for storage of food. The necessary pots, crockery & cutlery are also supplied. There is no electricity, and paraffin or solar lanterns are provided for light at night. If self-catering, don’t forget to bring firewood. While it is safe to drink, some people don’t like the taste of the local water, so you are advised to bring your own bottled drinking water. This is a malaria area, and precautions are advised. Full-service Inclusions: Accommodation with linen & towels, all meals, 2 activities. 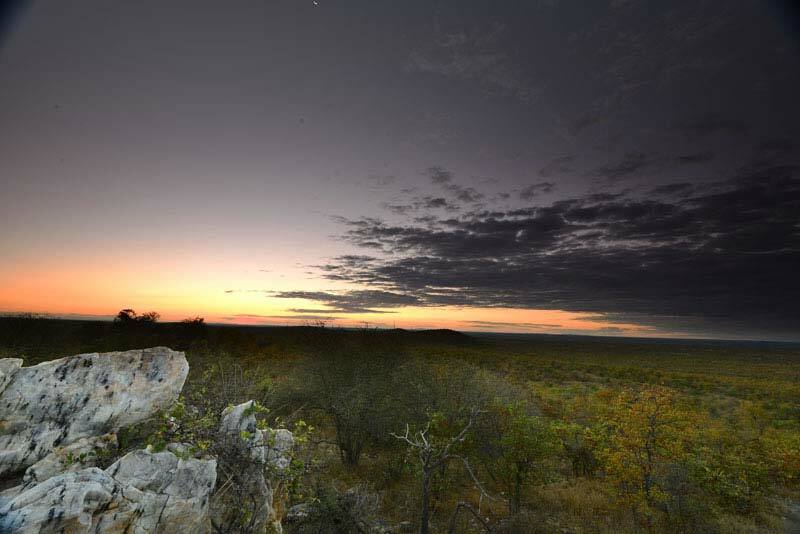 Full-service Exclusions: Reserve entry fees into Letaba Ranch, gratuities. 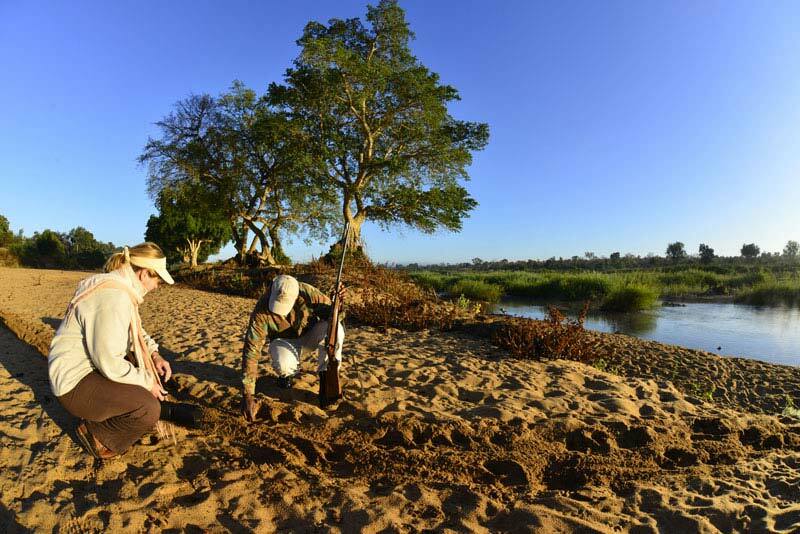 Self-catering Inclusions: Accommodation with linen & towels, self-catering facilities with gas cooker, fridge & freezer, cooking utensils, crockery & cutlery; a few LED solar lights in rooms and USB-solar charging facilities. 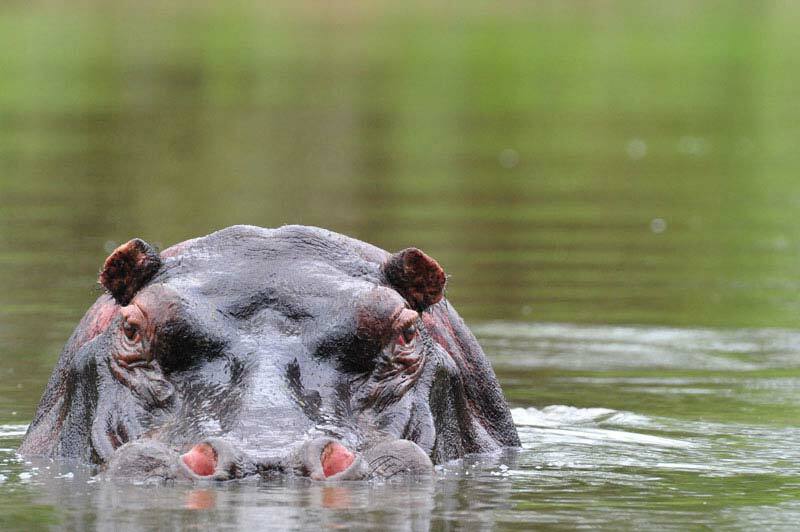 Self-catering Exclusions: Meals, activities (no self-drive permitted in Letaba Ranch), gratuities, reserve entry fees. Please note: optional meals or activities must be pre-ordered & paid when booking accommodation. We do not carry any stock of alcohol, soft drinks or bottled water in the camps, and guests are advised to bring their own. Should this not be suitable, please advise us at the time of booking and we will quote for your specific requirements. 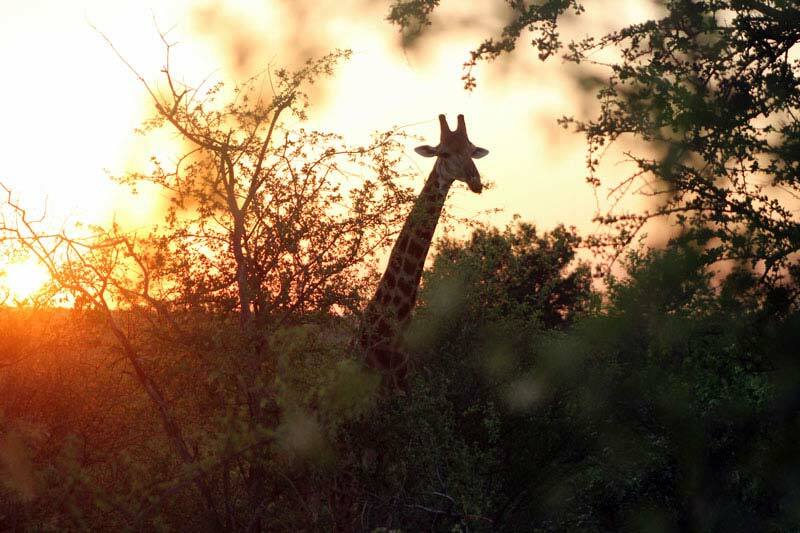 Visitors to Mtomeni Safari Camp have access to game drives, or guided walks in the morning and the evening. 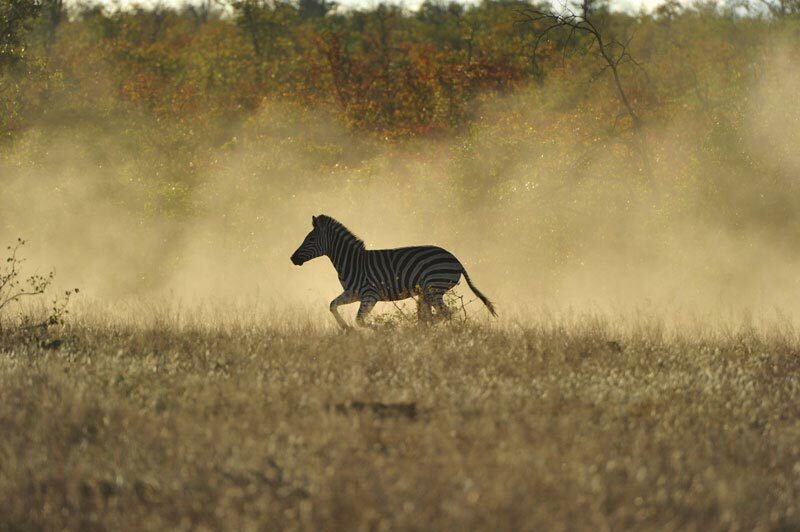 The reserve’s “No self-drive” policy means that guided game drives give guests an opportunity to see both the river areas along the Great Letaba, as well as into the Mopani veld of Letaba Ranch. Drive 16 km on the road to Gravelotte R71 and turn right on Road D3260 to Selwane (S23°54.719’ E30°58.916’). 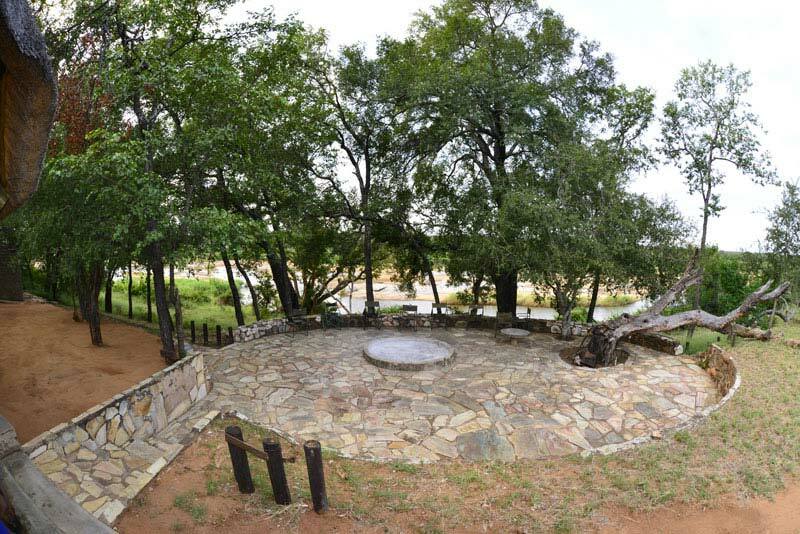 Drive 26 km and turn right on a gravel road with a sign for Letaba Ranch (S23°40.958’ E30°59.604’). Pass through the gate (if it is closed, please open and re-close behind you) and follow the road for 5km to the Reserve main entrance (S23°40.258’ E31°02.187’). Follow the Ivory Route signposting to the camp. Keep right (S23°40.230’ E31°02.466’) Keep left (S23°39.452’ E31°03.310’). The camp (S23°38.805’ E31°03.602’) is 5 km from the main entrance. Total distance from Phalaborwa is 52 km and approximate driving time is 1 hour. Please take out travel insurance to cover cancellation fees.